The new E class will have new safety and autonomous driving features when it goes on sale next spring in the United States. 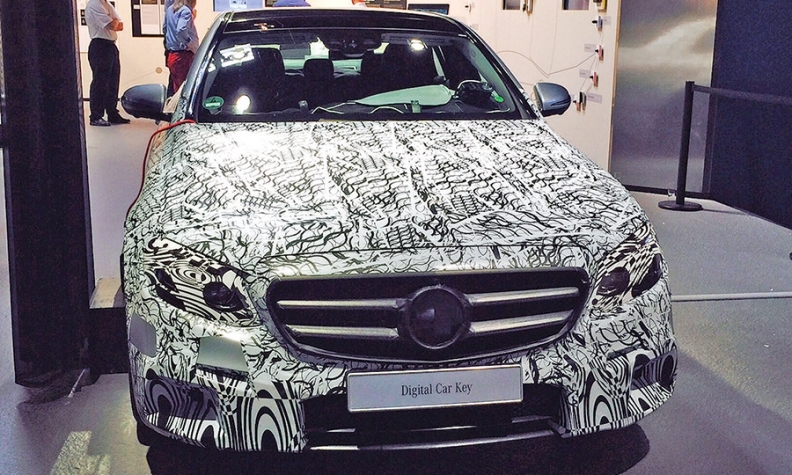 Mercedes-Benz displayed its redesigned E-class sedan with camouflage last week in Germany. Highlights include a system that enables the driver to use a smartphone as a vehicle key and a safety device that inflates air chambers in the backrest side bolsters and moves front-seat occupants away from the door if an imminent side collision is detected.